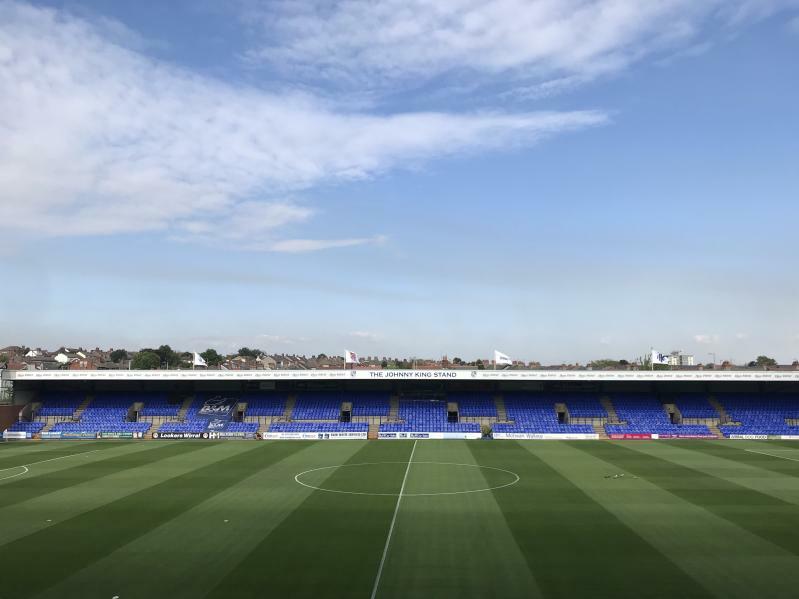 Follow all of the action as Liverpool play their second pre-season game of 2018-19 at Tranmere Rovers, with live updates, photos, videos, stats and more throughout the day. 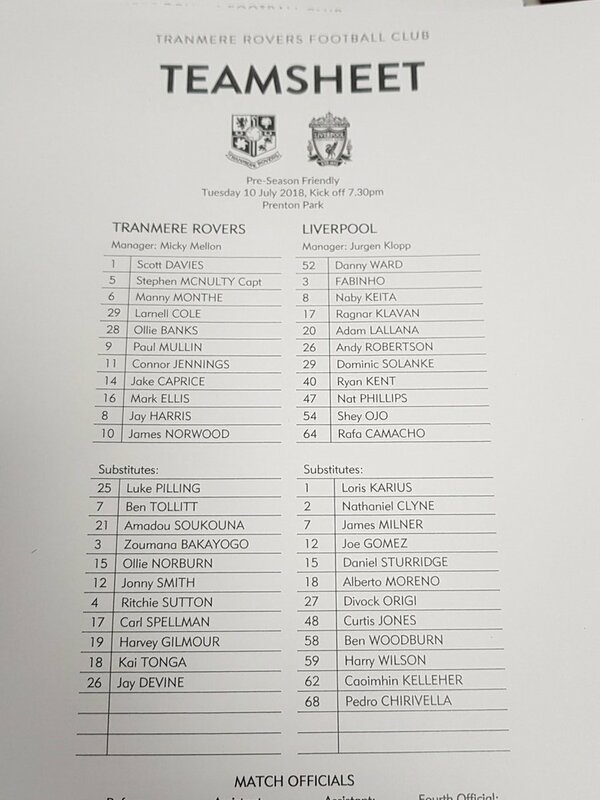 Liverpool claim their second win of pre-season as they record a 3-2 success over Tranmere Rovers at Prenton Park. The Reds raced into a three-goal lead before half-time thanks to strikes from Rafa Camacho, Sheyi Ojo and Adam Lallana. However, Rovers scored twice in the final 18 minutes through Jonny Smith and Amadou Soukouna to threaten a comeback. Next up for Liverpool is a trip to Bury this Saturday. The ball runs for Curtis Jones across goal to the back post, where he side-foots into the outside of the netting. Origi is denied at point-blank range by a sprawling stop from Pilling at the near post. The hosts reduce Liverpool's advantage to just one goal now as Soukouna nets a second for Tranmere. Chirivella plays it back to Milner on the edge of the area under pressure, but the Rovers man manages to win possession and slip it beyond Karius. Sturridge shimmies his way beyond two defenders inside the box and shoots low... it's saved by Pilling. Ollie Norburn's drilled effort from a free-kick is blocked by Karius, but he can't keep hold of it and Jonny Smith slips in the rebound. Milner's low ball forward finds the run of Origi, but his shot from a difficult angle doesn't trouble the 'keeper. Milner crosses towards the back post from a short-corner routine. Gomez shows his strength to hold off a challenge, but he can only loft his header over the bar. Moreno bounds into the area down the left and smacks a cross into the centre, but it's blocked at the near post. Wilson and Clyne play a slick one-two to open up Tranmere - the former smartly back-heeling into the path of the latter's run, who slides an effort wide of the far post. Liverpool re-start the game at Prenton Park. Here's how we'll start the second period after 11 changes during the break. Karius, Clyne, Gomez, Chirivella, Moreno, Milner, Woodburn, Jones, Wilson, Origi, Sturridge. Here's Rafa Camacho's opening goal of the night - featuring a stellar assist from Sheyi Ojo. The Reds lead 3-0 against Tranmere at the break after a productive opening half at Prenton Park. Rafa Camacho, Sheyi Ojo and captain-for-the-night Adam Lallana were the men on the scoresheet. Liverpool are set to make 11 changes at the break. Lallana shaves the side of the post with a near-post whack from Camacho's cut-back. Danny Ward flings himself across goal to parry a close-range effort from Paul Mullin after Tranmere broke down Liverpool's right and crossed to the unmarked forward in the middle. Tranmere try to clear their lines after Solanke looks set to score. Eventually, Kent wins it from McNulty and feeds Lallana, who sweeps first-time into the corner. 3-0 and a goal for our captain for the night. Lallana's drive from Kent's pass just inside the box is blocked by the shins of McNulty. Lallana and Keita play a quick one-two, but our new No.8's attempt to loop a header over Davies is gathered by the goalkeeper. Well, he's looked lively all night - and so it's no surprise to see Ojo get on the scoresheet. The winger chases down a cleared ball towards the right touchline, glides beyond a challenge and curls low into the bottom corner. Ojo pops up on the right this time. He curls goalwards, it strikes a defender and bounces a foot wide of the base of the far post. Lallana stands the ball up for Solanke in the centre, but he can't get any power or direction on his header and Scott Davies is able to collect. More good link-up between Lallana and Robertson - the latter picks up play in space and strikes goalwards. It takes a deflection and hits the side netting. Robertson sweeps a low cross into the area from the left, which Solanke meets on the stretch but hoists high over the bar. Lallana slides Robertson into space inside the area again. This time his attempted pull-back can't find a teammate. The Reds have an early lead - and it owes much to the persistence and skill of Sheyi Ojo, who rides a challenge from Manny Monthe near the corner flag, darts into the area and pulls back for Camacho to steer into the bottom corner with the side of his boot. 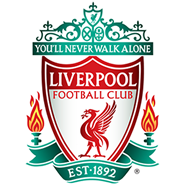 Lallana slides Robertson into space inside the area, but his attempted ball into the six-yard box is cut out by Stephen McNulty. Don't forget, we're broadcasting the game exclusively live on LFCTV and LFCTV GO tonight. 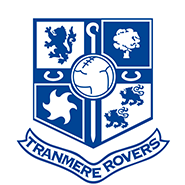 Tranmere start the contest at Prenton Park. The boss has just spent a good 10 minutes posing for photos and signing autographs with as many fans as he possibly could at the side of the pitch. 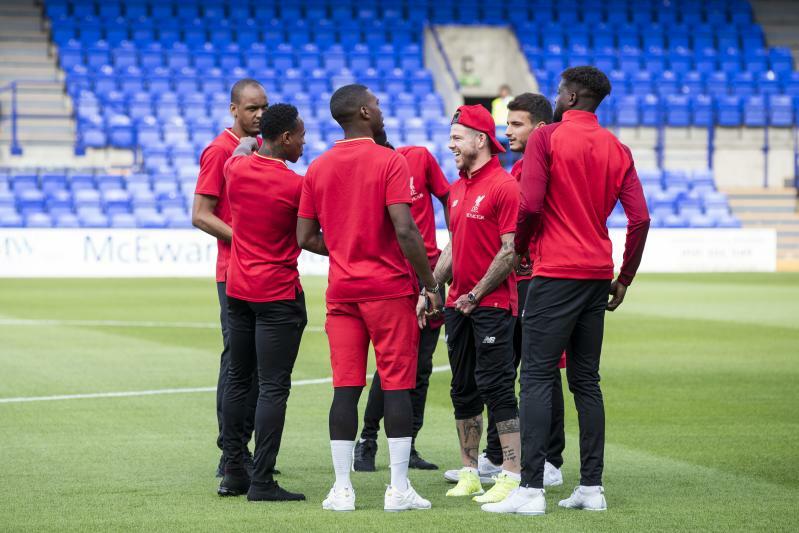 The Reds arrive at Prenton Park and head out to check out the surroundings. Adam Lallana will skipper the Reds in the opening 45 minutes at Prenton Park, we can confirm. James Milner will then take the armband in the second period. 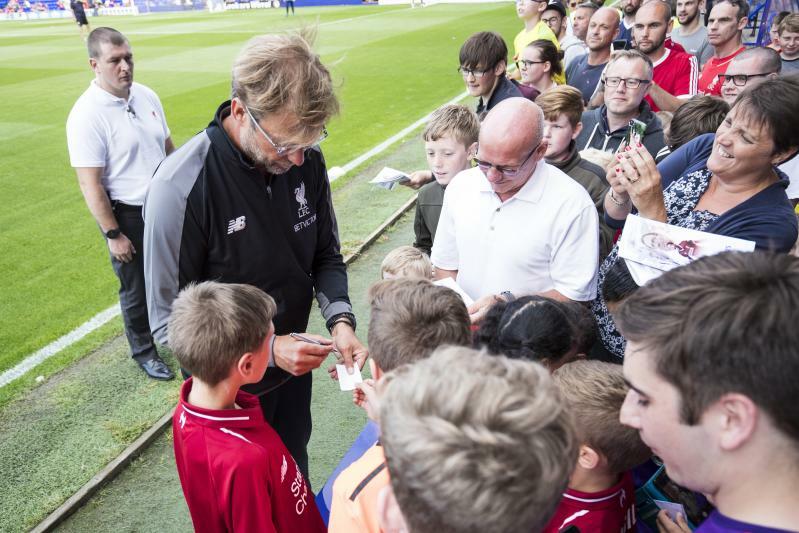 Jürgen Klopp will field two different teams in either half of Liverpool’s pre-season friendly with Tranmere Rovers at Prenton Park tonight. 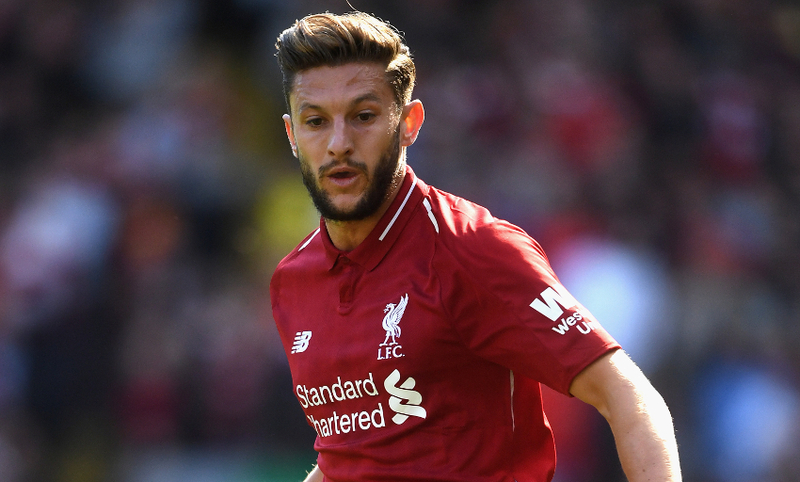 Adam Lallana makes his maiden appearance of the summer for the Reds while new signings Fabinho and Naby Keita line up together for the first time. Academy goalkeeper Caoimhin Kelleher is available as an additional substitute. 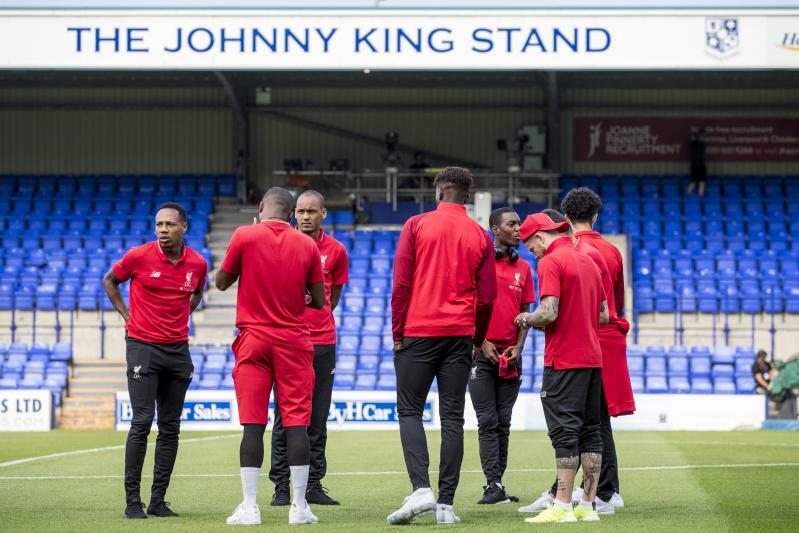 The Reds are back at Prenton Park tonight for the third consecutive summer for the game Jürgen Klopp has described as 'The John Achterberg Cup'. Ever wondered what Liverpool's players eat and drink to fuel them through pre-season? Well, we had, so we asked the club's head of nutrition Mona Nemmer to explain. Remind yourself of how the Reds did in their first friendly of the summer, against Chester FC on Saturday, below. Who wants some early team news, then? Adam Lallana returns to the Liverpool squad for tonight's pre-season friendly with Tranmere Rovers but Virgil van Dijk and Georginio Wijnaldum will not be involved. 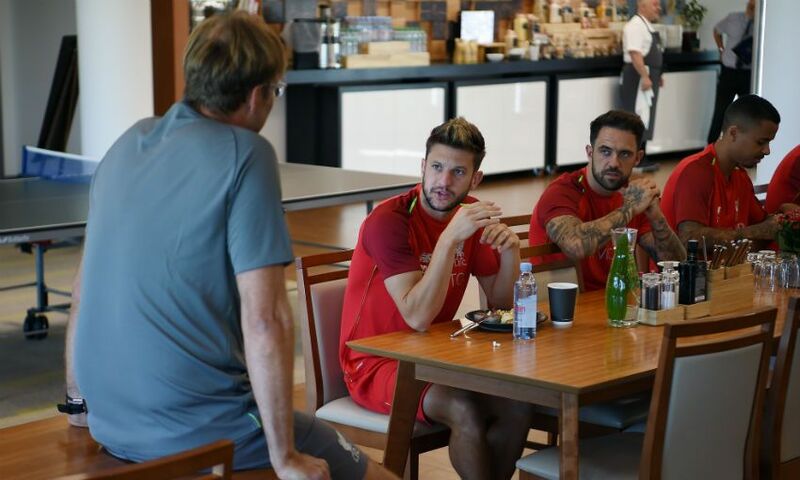 Lallana is available for the short trip after sitting out the weekend’s game to do extra sessions at Melwood having missed a few days of the opening week of training with illness. 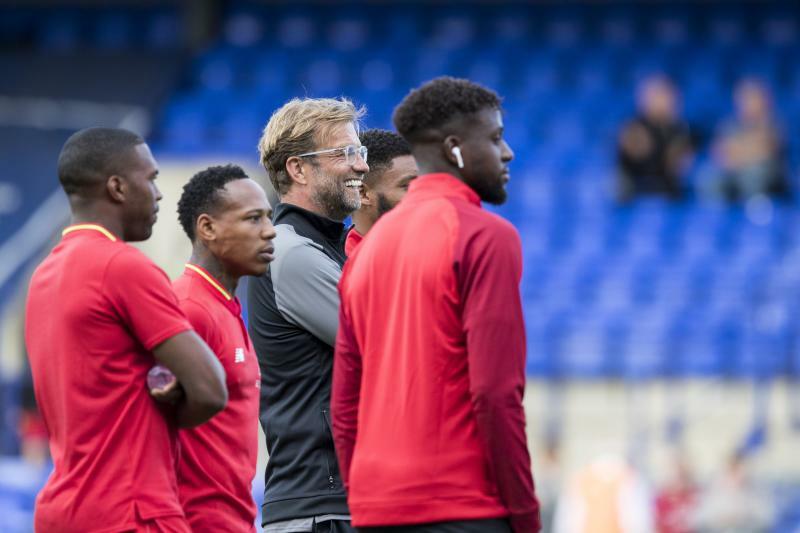 This match comes too soon for Van Dijk and Wijnaldum, however, who only returned to pre-season training on Sunday morning due to international commitments with the Netherlands at the end of last term. 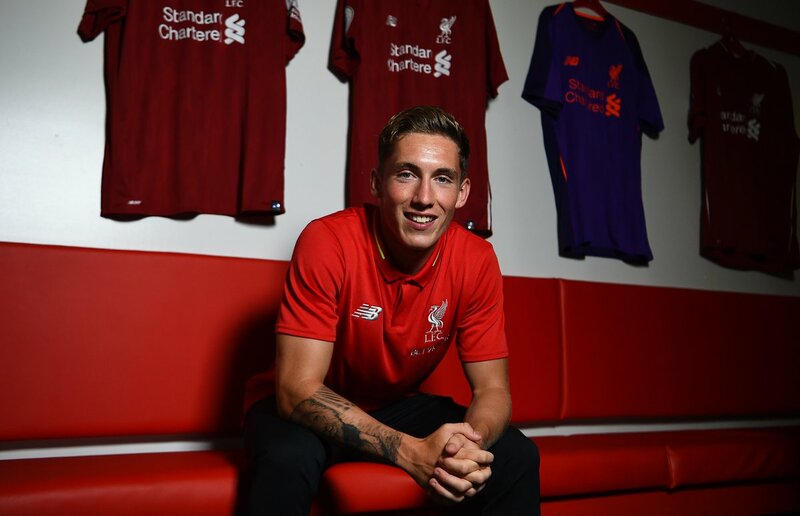 The Dutch pair will benefit from further sessions at Melwood and then be in consideration for Saturday’s friendly with Bury, while Joel Matip is also on course to feature in the same fixture as he builds up fitness after injury. Danny Ings, who was on target against Chester, is a doubt for the clash with Tranmere due to severe blisters. Academy goalkeeper Caoimhin Kelleher will be part of the squad. 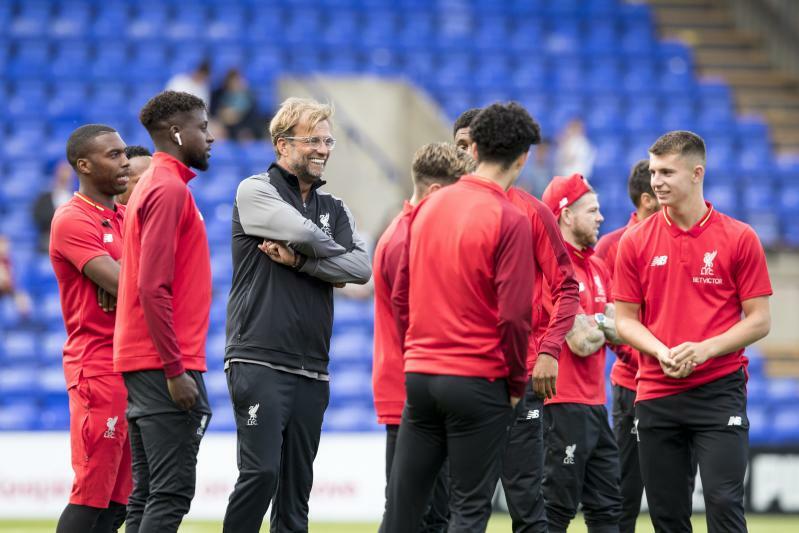 So, Liverpool's second pre-season friendly of the summer takes place at Prenton Park this evening, with Tranmere Rovers the opponents. Remember, you can watch the game live on LFCTV or LFCTV GO - or, alternatively, you can stay right here with us for the best coverage of the build-up, action and reaction on our live matchday blog.